Roman shades are the ultimate in multitasking window décor for all types of decorating schemes. They provide privacy, filter or block sunlight, and make an excellent foundation for many types of layered window treatments. Sewing them is as simple as sewing a straight seam; however, before you make a trip to the fabric store, you need to do some measuring and calculating to ensure that you buy the proper amounts of fabric and hardware. It isn't difficult, but you do need to pay attention to detail. Decide on your decorative fabric and lining. Heavier fabrics and linings block light and shadow; lighter ones only filter them. Gather your measuring materials together. Measure the height and width of the window(s) you plan to cover. If you're mounting the shades inside, measure the inside width and height. If you're mounting outside, measure outside the window frame. Measure to the nearest 1/8 inch. Calculate the measurements for each fabric piece (decorator fabric and lining) for each shade. Add 4 inches to the width and 8-1/2 inches to the length to get your pattern measurements. This will show you how much decorator fabric and lining fabric you will need for each shade. If your fabric is 54 inches wide and your shade pattern measures less than 25 inches across, buy a piece of fabric half the total length of all the shades. If the fabric is more narrow, or if your widows are wider, purchase the total combined length of all the shades you plan to make. Calculate the amount of cording you will need. 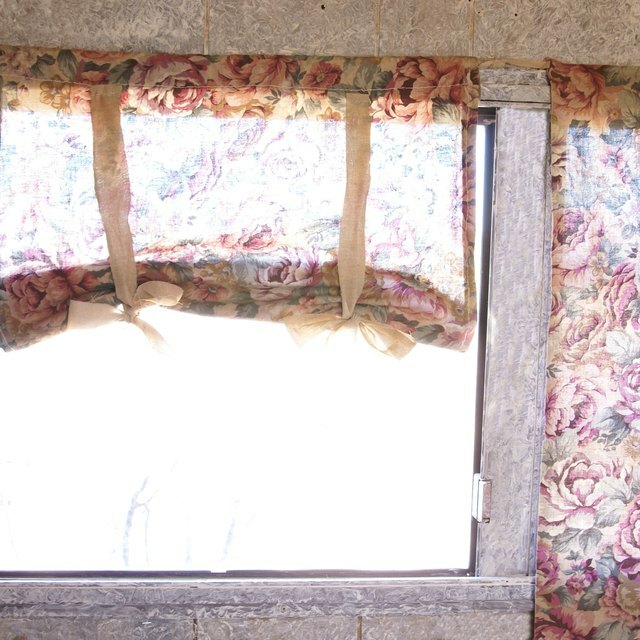 For each window, measure from the left bottom corner of the shade up to the top left corner, across the top of the mounting area and down the right side. Measure again from the bottom right corner to the top and back down the right side. Add these measurements together. Multiply by the number of shades to get your total yardage. Calculate the yardage of Roman shade tape by multiplying the height of the shade by 2, and then multiplying by the total number of windows you're covering. Add approximately 5 percent to your fabric and notion yardage to give yourself some breathing room. Mistakes happen. Count the number of windows you're covering. For each window, you'll need a cleat for the cording, a cord lock and a cord condenser. Multiply the top width by the total number of shades you are making. This will give you the length of mounting board you need to purchase. Decide how many pleats you want to have when the shade is drawn up. Ideally, they should be 6 to 8 inches apart. Multiply that number by the width of the shade to get the total length of wooden doweling or plastic ribbing you'll need to purchase. Always double check your measurements before you commit to having fabric or wood cut. Err on the side of caution; round up measurements if you need to when you are purchasing your materials. Amber Murray is a graduate of Old Dominion University's English Department and a former teacher, who left the classroom to homeschool her children and pursue writing. She has published editorials, theater reviews, and celebrity interviews over the last 4 years.